The fabrication and design of aquatic life systems is just the beginning of many projects. The staff of Aquatic Design Systems, Inc. has assisted clients worldwide with the successful support and maintenance of world-class aquariums. 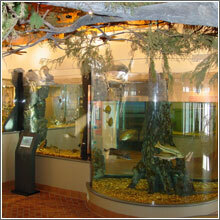 Look to Aquatic Design Systems for the proper support and training to maintain your aquarium and marine life. Consider our Turnkey Capability - concept, design, fabrication, installation, decoration, husbandry and ongoing support.